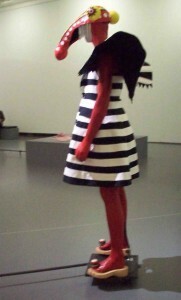 Went to the Boijmans today to see ‘The Art of Fashion: Installing Allusions’. Five fashion designers were invited to seek out the (illusionary?) border between fashion and art, and create new work for the exhibition. Could have been a real smasher, I love fabrics & this whole crossing-over thing. Great names Viktor & Rolf were a desillusion: their work I had seen before. Fashion? Art? I don’t care really. I would have loved for them to react to this new setting, but they sent in old – and yes, still fabulous – dresses. Apparently, in their minds, they had already crossed the border and come back again, too. 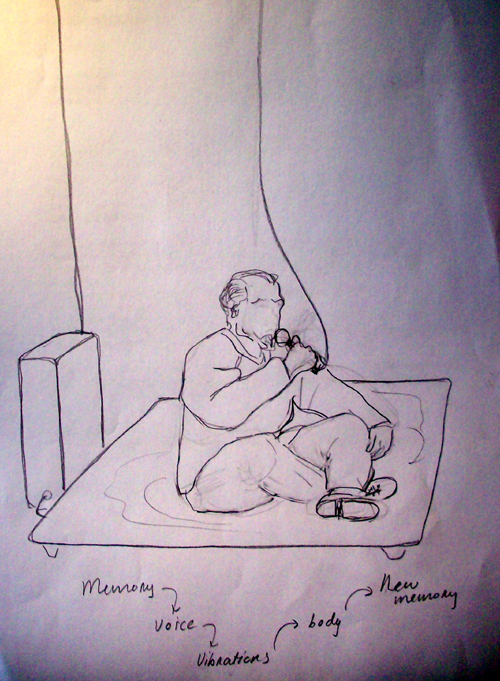 The exhibition as a whole was a bit of a dissapointment for me. Some good video work – especially a video by Anna-Nicole Ziesche. Her video ‘childhood storage’ refers to her childhood room, and is inspired by the universal custom for mothers of children leaving home to keep their bedrooms intact. Checked her website, she’s done the video thing before, and it shows. One foot in either world, apparently. The rest of the exhibit didn’t click with me. The pictures in the museum guide showed me why: in the pictures in the guide showed real people inside the works/dresses. Being representations, they were still better than the works. Fashion should be shown on the living body, it all lacked movement. Also – do not touch signs everywhere, with the works begging to be touched I assure you. The works of the 5 designers were surrounded by fine art and fashion pieces supposed to mirror the 5 designer’s themes. This, in my view, did not work very well either, I could not make much of a connection. 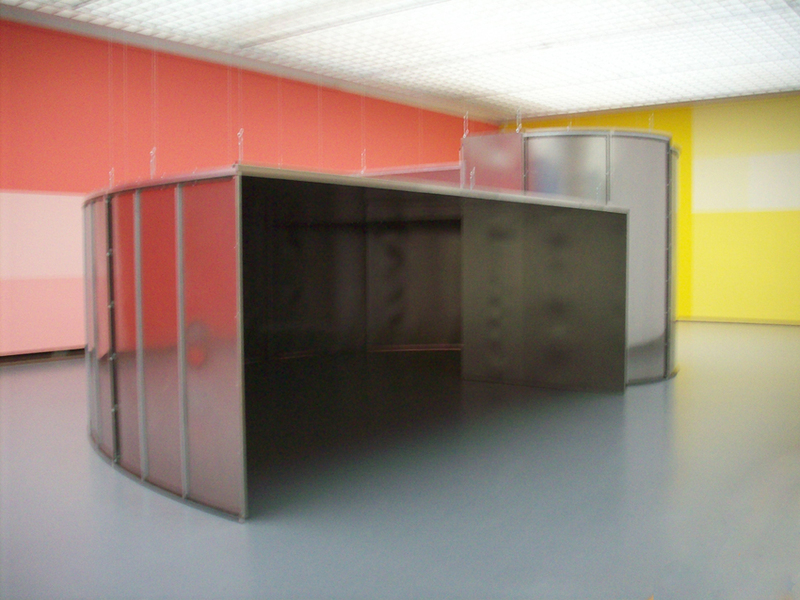 The only works in the show that had real power for me were 2 installations by Louise Bourgeois. They stood out like swans among ducklings. And I know I should have written down their titles, but I didn’t. Note: found the exhibition guide again, the works are ‘temper tantrum’ and ‘cell XIX). I was right about them not connecting to the rest – apparently they were included because Louise Bourgeois used textiles for these works. This is about the silliest reason I have ever heard for including work in an exhibition – do we ever add a painting to an exhibition because it is made with oil paint? I hate people calling me a textile artist or a fibre artist because I play around with fabric. I liked the design stuff at the ground floor (Boijmans having a dutch design competition) much better.Met with a lot of items that I already knew from shows or magazines. 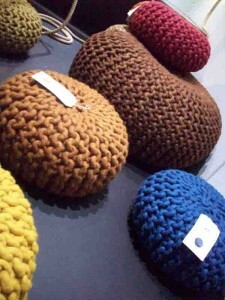 See picture for a complete set of Christien Meindertsma’s Urchin Pouffes, which I absolutely adore. Apparently the design for the control panel of a new and powerful kind of tugboat is going to win – a typical Rotterdam thing like that, and interactive too …. It cannot miss. Idea I am going to use myself: they projected into a mirror that in its turn made a pattern on the floor. Made a video recording with my little camera, will go and check on it now, never used it for video before. Will post the results if any good & can figure out how posting video works with WordPress. Ciao!